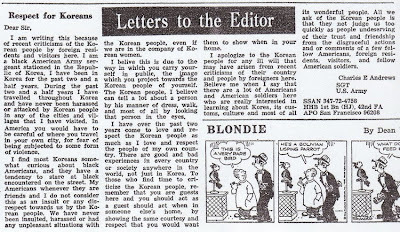 The following letter to the editor was published in the Korea Times on September 12, 1975 during the letters page brouhaha which followed an article about the "Ups and Downs" of Korea. 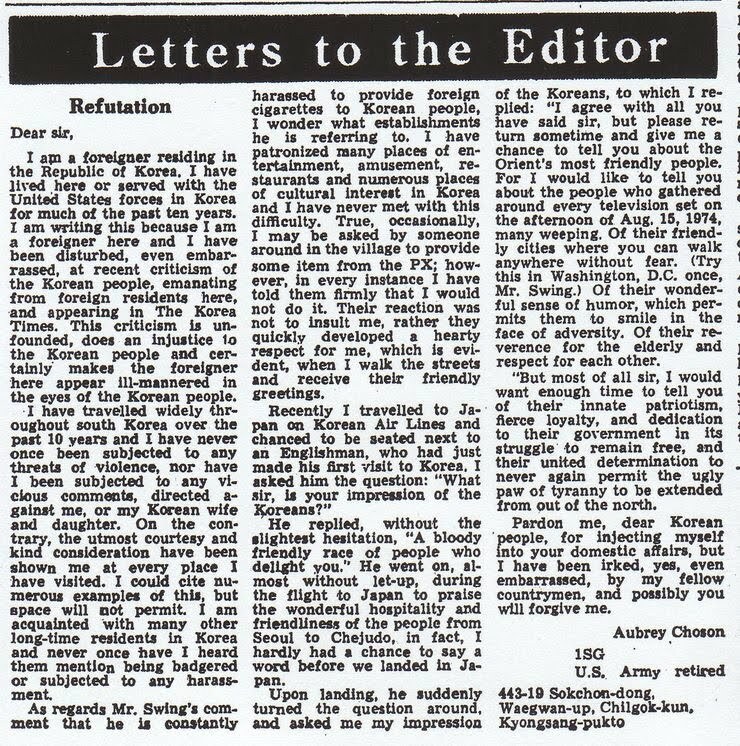 Is his last name really Choson? Interesting. His response falls into the "I've never had any problems here, so I can't imagine anyone else would" category. 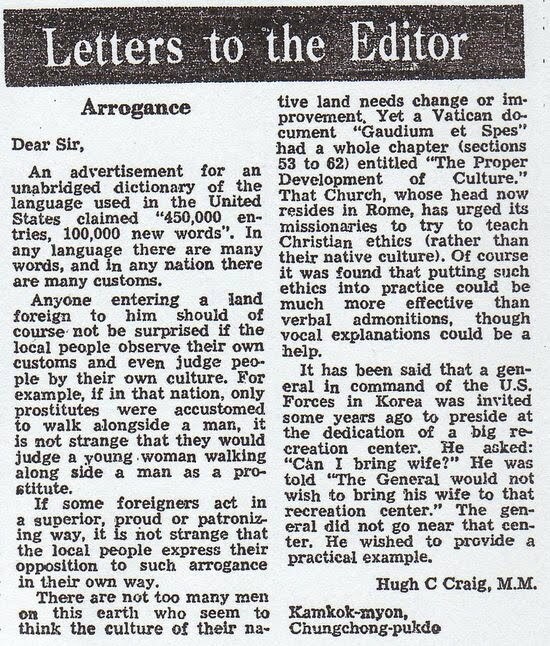 Mr. Craig seems to be supporting the Korean people, and criticizing the arrogance of foreigners who would dare complain about people who call their female companions whores to their faces, but he chose a rather inapt analogy. 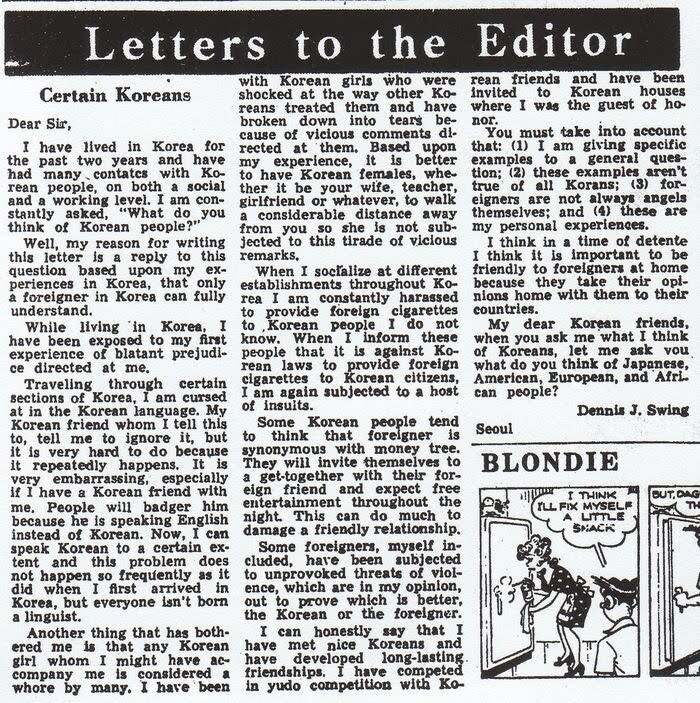 It wasn't that "only prostitutes" were accustomed to walking alongside men - something that suggests that all women seen walking with men in Korea were assumed to be prostitutes. 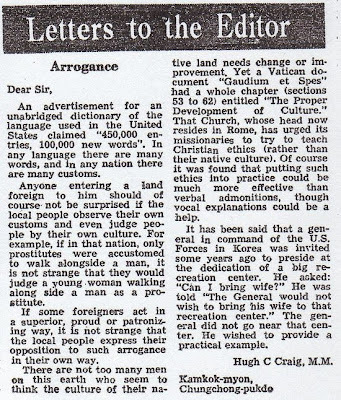 The point was that it was assumed that only prostitutes would be seen walking with foreign men. 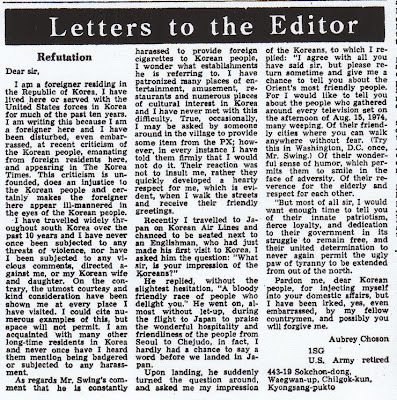 One wonders how the number of letters published compared to the number of letters submitted, but the way the Times portrayed it, there were more foreigners writing letters defending Korea against foreign criticism than those writing letters pointing out its 'faults' (though it should be noted that the column that sparked the debate also contained praise for Korea as well). 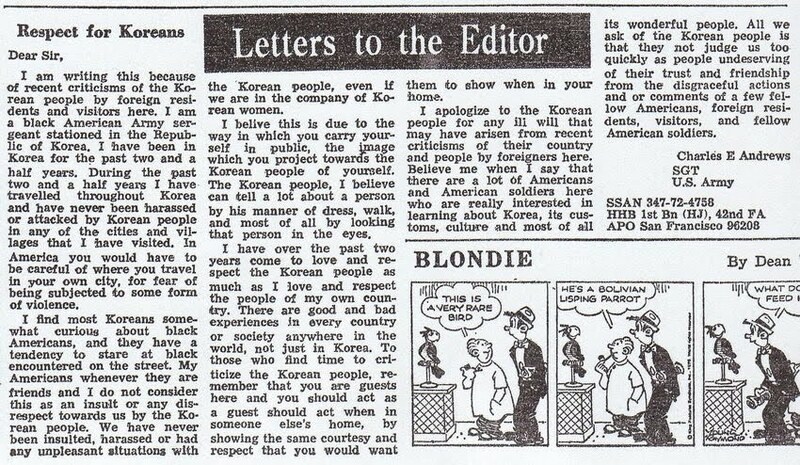 I'm surprised these letters were published, because I don't think they would be these days. 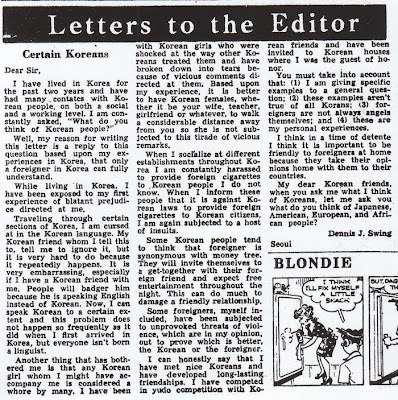 Showing of "63 Years On"
"Mercilessly smeared with foreign words"